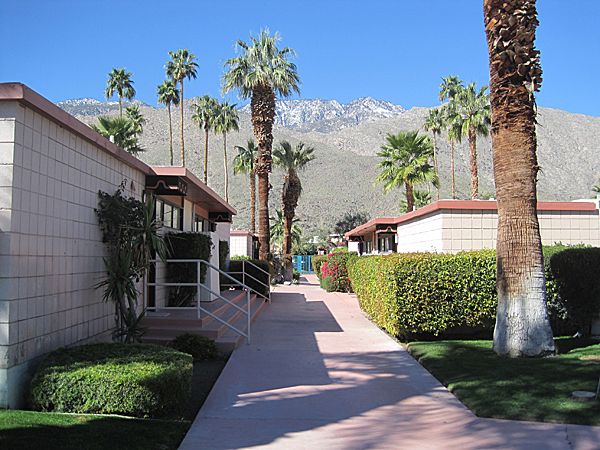 Located on Palm Canyon Drive (U.S. Highway 111) and occupying roughly seven acres, this 1956 project was a first for developers George and Bob Alexander. 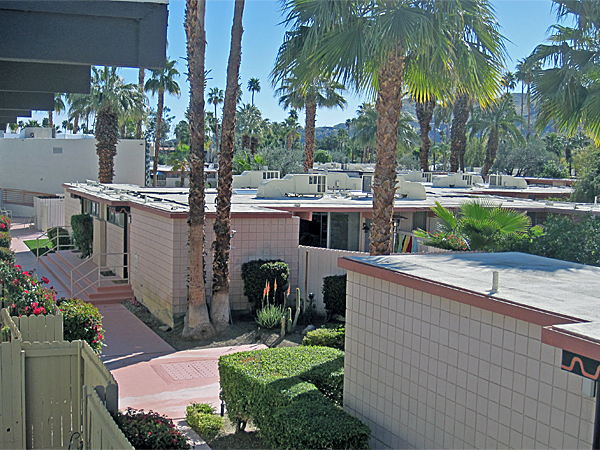 The architecture by Dan Palmer and William Krisel and landscape architecture by Garrett Eckbo featured a central structure that along its interior side was curved like a lower eye lid while its linear edge on its public side met the street with a generous porte-cochere that extended outward from the lobby. 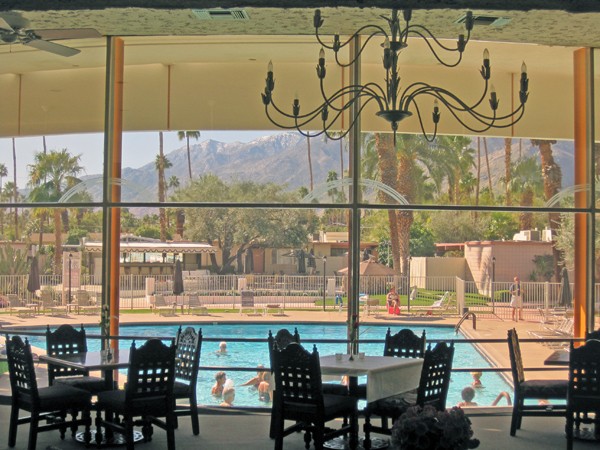 This central building originally housed the celebrated, Candlewood Room, which was advertised as “one of the most beautiful rooms in America.” Although the interior has been altered, and the original Eames chairs are gone, the indoor-outdoor relationships that offer a panoramic view to the mountains beyond and the iconic key-hole shaped swimming pool and patio surrounds are still intact. 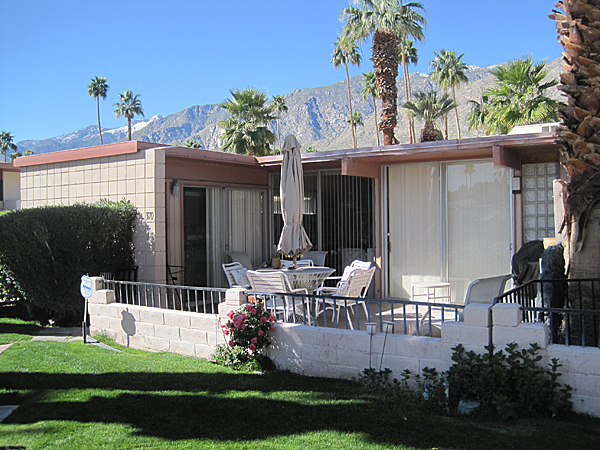 This includes the duplex units along the Palm Canyon Drive frontage and the four additional rows of single story cottages, each with four separate units. 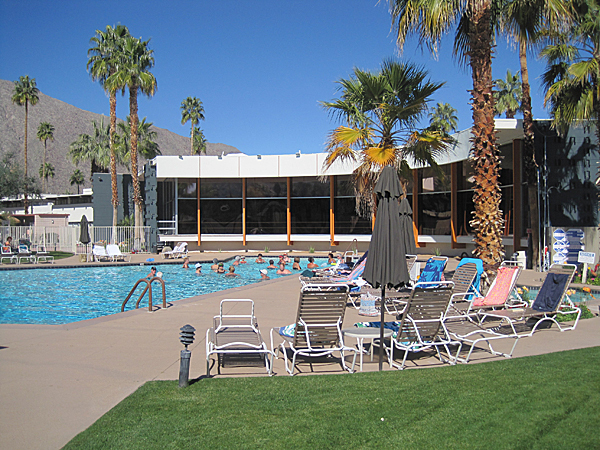 Opposite the central building, to the south, an outdoor bar and dining terrace overlook the other end of the pool, while tiny outdoor patios to the east and west have poolside views. 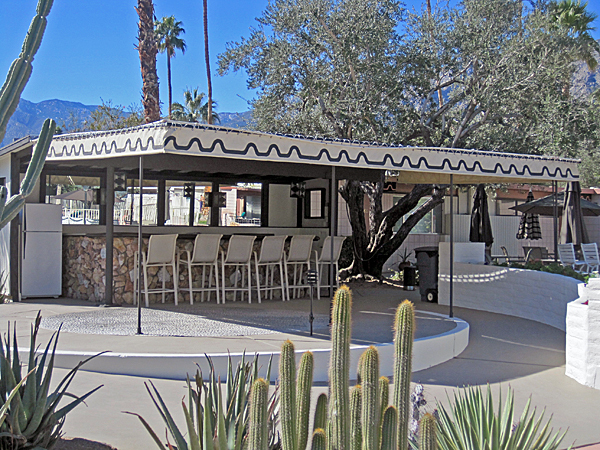 Many original plantings and pavement remain from the original design.